After seeing the best location for a beach holiday in February, continuing in our selection of beaches to visit during the months that correspond to our cold winter, we get to March. This particular month is undoubtedly one of those, let us say, more “weird” for the whole year. When we think of March, in fact, we often think of one of our old Italian proverbs “March crazy, you go out with the sun and take an umbrella” and actually it is just so … How many times the days of March began with the sun and end with the rains? But if the weather in Italy is a little ‘the “tantrums”, in other parts of the world that appears to be the ideal time for a spectacular holiday in the warm sun and the blue sea. See you then here are some tips to make a well-deserved holiday flying from one part of the world in search of the top destinations! How not to include Cuba as the first half of March travel? This magnificent island has, in the period from December to March, a predominantly dry climate favored by the trade winds coming from the northwest. The rainfall is reduced, the only areas where eventually you might encounter in rainfall are eastern island. The temperature ranges from a minimum of 18 ° to a maximum of 28 ° C with an equivalent thermal water requirement of about 26 °, a situation so very favorable to be able to enjoy a great holiday. Cuba, the largest Central American island, is definitely one of the most known by the Italian non-European nations, both for its political vicissitudes, but especially for its climate, its beaches and the Latin atmosphere in every corner. The beaches of this beautiful island are truly unique for the variety that distinguishes them: you can go from pure white to Varadero, gold iridescent Guardalavaca up to the beautiful black sand Playa Duaba island, while remaining fully satisfied with the show that the nature of Cuba has to offer! 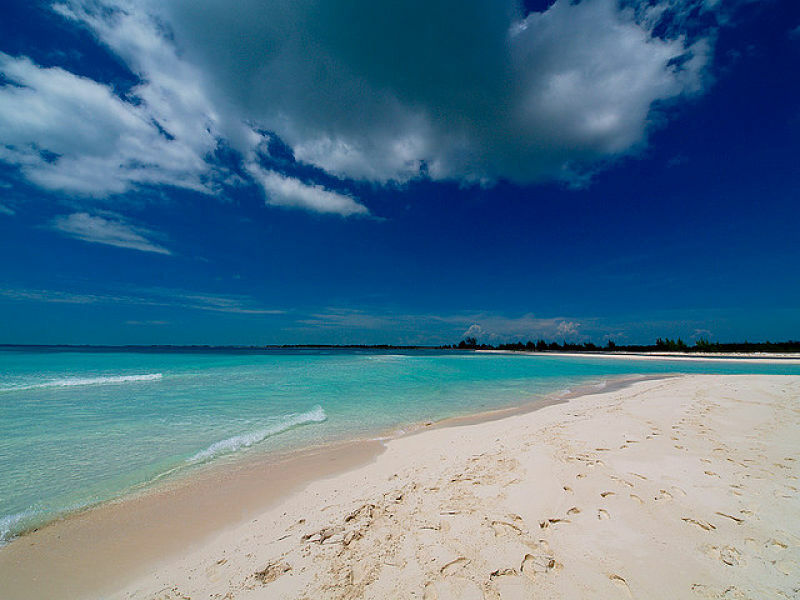 The most beautiful beaches of Cuba, Cayo Largo, Cayo Guillermo, Playa Las Coloradas, Maria La Gorda, Playa Maguana (Baracoa), Playa Rancho Luna, Playas de Este, Cayo Levisa, are all waiting to be able to make you live unforgettable days. If you love a vacation in pure relaxation season, however, with the frantic pace of Latin American music, then Cuba definitely is for you. If you have intrigued enough, why not take a look now at how much it costs to turn the dream of a trip to Cuba in reality? You can start by comparing the prices of different hotels and resorts, going in search of the one that best suits your needs. Thailand, because of its enormous size, has very different climatic zones from each other. Most of the country enjoys a tropical climate, but the southern regions, however, characteristics of equatorial climate. Its climate can be divided into two seasons: the rainy months, which extends from May to October (December in the southern areas), and the dry season which covers the months from November to April. March turns out to be one of the favorite months to visit Thailand: the climate is milder, there is a low humidity and rains are infrequent; the temperatures vary from a minimum of 25 ° to a maximum of 34 ° C, while those of water can range up to 29 °. The month of March is, therefore, a perfect time to go on holiday in Thailand. “If you meet someone without a smile, regalagli one of your”. In this oriental proverb it is certainly contained all the spirit of this beautiful country. Thailand is certainly well known for its sea, its beaches and its ancient culture, but will definitely the joy of its inhabitants and their friendliness that will capture you, making you live a wonderful vacation and forget the stress of everyday life. 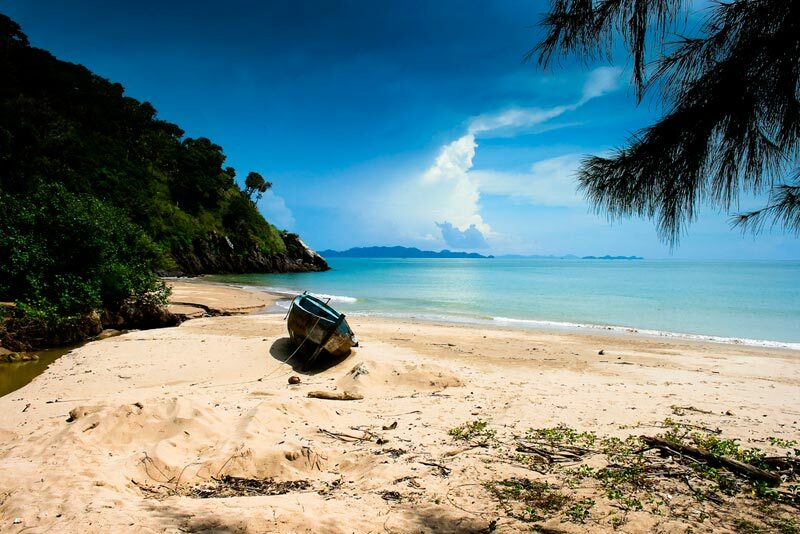 This is where you will find some of the most beautiful beaches in the world; among the best beaches in Thailand highlight Ko Phi Phi Don, Maya Beach, Phang Nga Bay, Patong Beach, James Bond Island, Bamboo Island and Long Beach, which are just some of the wonderful stretches of sand that can be found ranging from the Andaman Sea, Indian Ocean and the Pacific Ocean. If you feel the desire to cut loose and live a peaceful holiday, maybe even to purify your mind, then Thailand is the place for you. Kenya has a very different morphology from all other African states is literally split in two from the Equator. This particular location makes this charming state can enjoy three completely different climates: arid, torrid in the north-east, south-west temperate and humid and hot on the coast. The best time to reach Kenya is definitely from February to March, where prevail the warm winds that come from. In these months, temperatures vary from a minimum of 24 ° to a maximum of 32 ° C, with a degree of heat achieved by water of approximately 29 °. Kenya is, for tourists from around the world, the essence of Africa: the savannah open spaces where the red earth is lost in the impressive cobalt blue of the sky; It is one of the few places in the world where, thanks to the safari, you can see huge groups of animals live free at the mercy of the wild. With its place so well outlined in the tourist landscape, it is likely to forget that Kenya is not just animals, safari and excursions, but it is also full of beautiful white sand beaches that cover well 536 kilometers of coastline. In fact, the stretch from Mombasa to Malindi region represents one of the most spectacular coasts of the African continent. Here we can find the beautiful beaches of Diani Beach with its coral reef, Shelly Beach with its hotels, Nyali Beach with its local and Kenyatta, where you can fully enjoy the atmosphere of African rhythm. A special mention goes to Watamu, a small center located 25 kilometers south of Malindi. 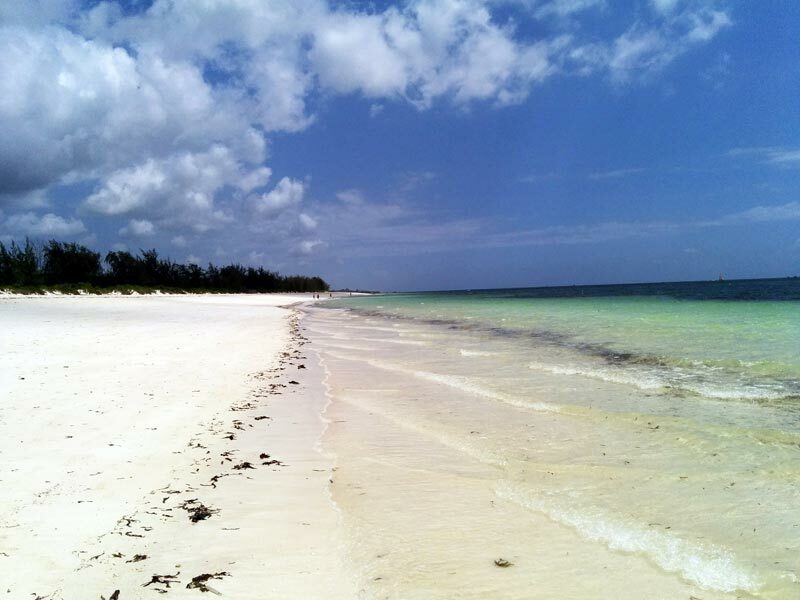 The low tides they do emerge from nothing small white sandy islets just a few meters from the beach and the rich seabed of tropical fish and starfish make this location unique in its kind and definitely worth a visit during your stay in Kenya. In just eight hours of flight you will find this country that will give wonderful memories to all who are looking for strong emotions! 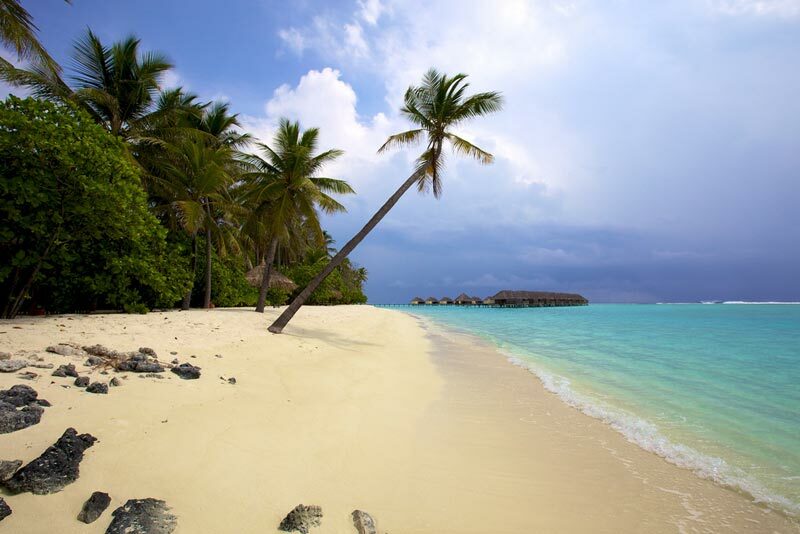 We can not talk about beach holidays in March not to mention the “fateful” Maldives! Maldives temperatures vary little during the year: the weather is stable, during the twelve months, between 28 ° – 32 ° C, while the water is still very hot (28 ° – 29 ° C) and in the lagoons even 32 ° – 34 ° C. what we have to be very careful if you go in this archipelago are the monsoons that, based on their passage, characterize the seasons. The season “dry”, delineated by a “dry monsoon”, extends from December to April, while the “wet”, characterized, however, by a “wet monsoon” occurs from May to November. It goes without saying that March is a great month to visit this magnificent group of islands … The Maldives are a always a popular destination for tourists from all over the world, but choose a March vacation also means avoiding in part the big summer crowds. Small atolls sand suspended pure like gems in the deep blue of the Indian Ocean, the Maldives is the door to enter into a timeless world in a climate of eternal summer where you can still choose their pace of life. It is no coincidence, in fact, that these atolls are a favorite of honeymooners from around the world: swim among thousands of colorful fish and let go in the face of a thousand colors of the sunset, it is definitely the best that you can wish a couple who begins the most important journey of his life. Cocoa Island, Velassaru Island, Halaveli Island, Rangali Island, Kunfunadhoo and Huvafen Fushi are definitely some of the most beautiful islands of the Maldives. Romantics from around the world, if you are planning a holiday of love in all its facets, the Maldives are definitely the place for you! The Australian climate is temperate for most of the year, but may vary due to the vastness of the continent, the northern part is characterized by a generally warm climate, while the southern one can undergo the much colder winters. Australia is also one of the driest places in the world, do you think the average annual rainfall is below 600 mm, and, like all the countries in the southern hemisphere, has opposite seasons to ours. Being such a vast territory is necessary to divide the areas to better understand where to go in the month of March: South Australia has hot, humid summers and cold, wet winters; New South Wales (Australia Southeastern) has a temperate climate with rainy winters and dry summers (in the rain but Victoria is often present throughout the year); Queensland has a subtropical climate with a wet and rainy; Western Australia has a temperate climate in the South; Finally, the Northern Territory has a tropical climate with a wet and rainy season between December and April, and hot and dry between May and October. Bearing in mind these features, we can conclude that the Western Australia and Australia Southeast are undoubtedly the two states to be preferred if you want to plan a vacation in this beautiful continent in March. The temperature, in fact, in this month varies between 11 ° and 24 ° C, with that of water which settles on 23 °. 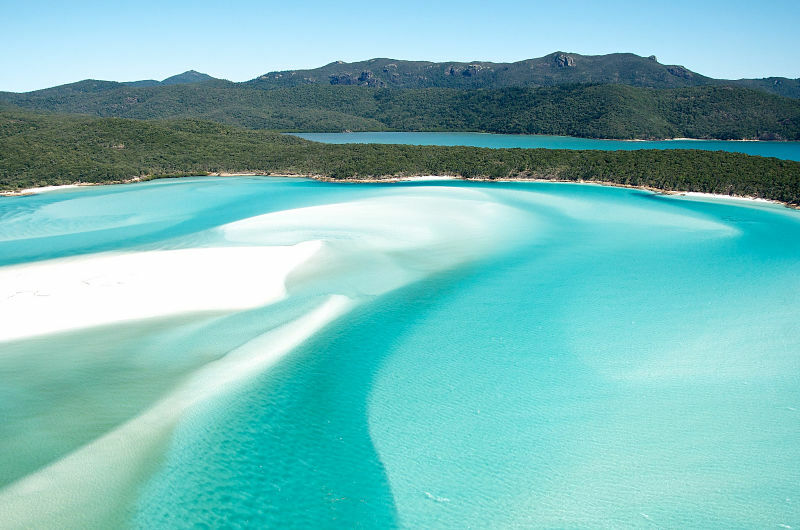 Considered among the most beautiful beaches of Australia, in these two areas there are Bondi Beach in Sydney, Tallow Beach, Hyams Beach, Cable Beach, Hellfire Bay and Coral Bay. If you love nature, but also boater’s life revolves around the sport definitely outdoors Australia it is one that is right for you. And if you think that Australia is out of your reach (both geographically and economically), you might be wrong. Although this country is crossed by many climates, but considering that the most popular area with tourists from around the world is certainly the Mexican Riviera, we will focus only on the temperature of the latter to assess the choice of this location for our holidays of March. The West Coast is characterized by a tropical climate all year round. From November to May the days are very hot and dry, the water temperature is about 26 ° C, while the climate varies from 19 ° to 29 °. In March you can meet even the winds blowing during the middle of creating favorable conditions for windsurfing and kite surfing enthusiasts. From Cancun, already with its magnificent beaches of Playa Delfines and Playa Tortugas symbolizes a more than acceptable tourist destination, there we stretch up to the Riviera Maya, with its 135 kilometers of coastline, is undoubtedly the main goal of almost all beach holidays in Mexico. 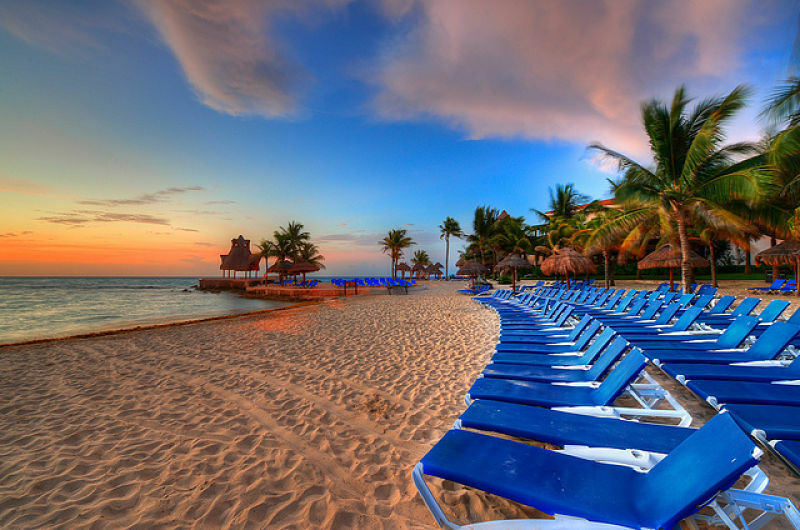 Starting from Playa del Carmen, from Playa de Xcacel, Playa de Akumal, Paradise Beach in Cozumel, Quintana Roo Mahahual, Playa Norte in Isla Mujeres to finish at Mayan Beach in Tulum, it is precisely in this area that focus most the most beautiful beaches of Mexico. A special mention also deserves the Cabo San Lucas area, in the southern part of Baja California. Here the sun is ensured throughout the year and spring, starting from the month of March, offers a temperate climate that can be up to 29 ° C. In this context, the most popular beaches are Playa del Amor and Chileno Beach. Mexico is a country of many colors: art, culture, history, entertainment and places of beauty that is not easy to imagine. If you fancy a holiday conceived not only in terms of sun-sea, but also based on cultural heritage, this fascinating country will definitely not let you down. The archipelago of Cape Verde is located in the most western point of the African continent. It enjoys a dry tropical climate, with an average temperature that settles around 26 ° C, while the temperature range usually does not exceed 10 °. Here too we can say we find mainly two seasons: a dry, which runs from October to June, and a wetter, from July to September. Having a good climate, Cape Verde can be visited in any month of the year; March, in particular, temperatures range from 18 ° to 25 ° C and the sea settles on 23 °. This cluster of islands arranged in a semicircle in the Atlantic Ocean, they are almost all of volcanic origin and their natural heritage, really very valuable, ranging from lunar landscapes, mountain peaks to finish in the long pristine beaches! Tourists who opt for this destination has the possibility to choose between very different islands among themselves, Santiago, Santo Antao, Boa Vista, Fogo, São Nicolau, Maio, São Vicente, Sal and Brava are a variety of all equally interesting landscapes to discover . 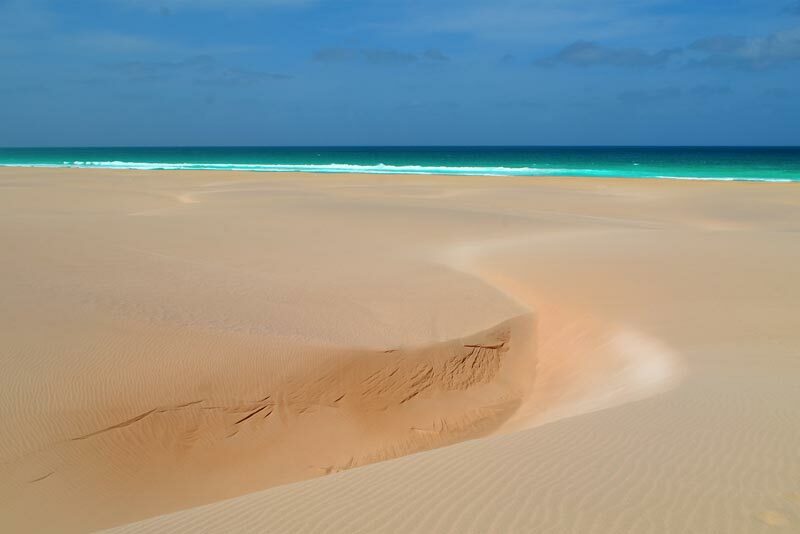 Who is looking for “dream beaches” should definitely travel to Boa Vista, where you will find Santa Monica with its 18 kilometers of beach; Varandinha, with its beautiful natural caves; Locação, with the magnificent lava rocks; Boa Esperança, with its wreckage, and Curralinho, with its white beach. Even the island of Sal offers stunning beaches such as Praia Santa Maria, which extends for 5 km to Praia Ponta Preta, and Shark Bay, very popular with surfers. If you are looking for different combinations of the beach (clear, black, pebbles or fine sand), the long stretches without any vegetation and seabed without reef, but especially rich in fish, only 5 hour flight from ‘ Italy, then Cape Verde will surely surprise you in a more than positive! Ultimate goal of this March, but no less important, are the United Arab Emirates and Dubai, undoubtedly the place that best represents them. This particular condition is characterized by a desert climate with summers that reach temperatures of 42 ° C in the months of July and August. In the winter months, and therefore also in March, on the other hand you are able to take advantage of a very mild climate, going from a minimum of 15 to a maximum of 31 ° C, with 25 ° of sea temperature. In Dubai, the concept of the beach is seen somewhat differently than many other parts of the world: the two main beaches are, in fact, public parks within fenced (1 euro for entry), where everyone is free, after He is having rented if he wants her umbrella, to get where he pleases, while the police go unnoticed to watch the tourists in a totally natural. Jumeirah Beach Park is the closest beach in Al Barsha and is home to fleets of local families (on Monday, however, the access is allowed only to women with children). Inside with a huge fast food, this beach is very long and perfectly “drawn” every morning as if it were a real ski slope. Equipped with all services, it is definitely the reference beach in Dubai. Al Mamzar is much bigger than Jumeirah Park; inside it stand out a set of very scenic loops with towering palms. It is located an hour and a half away from Al Barsha and to reach it you will have to take before a meter and then a taxi. Here is the day on Wednesday allowed the entry of women with children; the beach is very well equipped and distributed. A positive note is the possibility that harm some mega-hotels to be able to enter their beach against a payment for access, so you can enjoy even more the so-called “beaches” of the area. 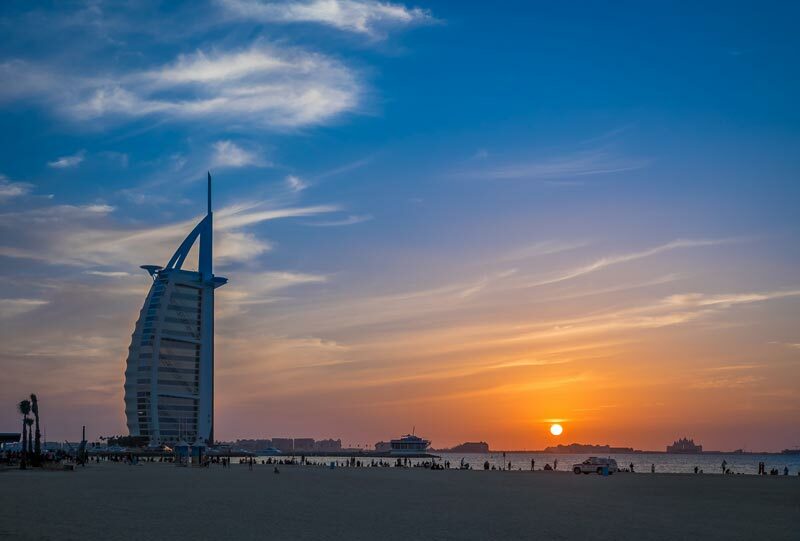 If looking for a destination that combines the right combination of sun-sea-shopping, you must surely address your holidays in Dubai, perhaps looking ahead with some offers on hotels. As you can see there really is something for everyone: whether you are of the incurable romantic, perfect for explorers, lovers of nature in its pure state or uncontrollable shopping lovers, a beach holiday in March certainly will not never disappoint your expectations!